Individual miniature previously only found in the Assassinorum box-set. A dead-eye marksman that can wait in hiding for the perfect target, such as enemy HQ. Carrying a number of specialist rounds, the Vindicare can adapt to face multiple enemy threats, from monstrous creatures to tanks and enemy leaders. 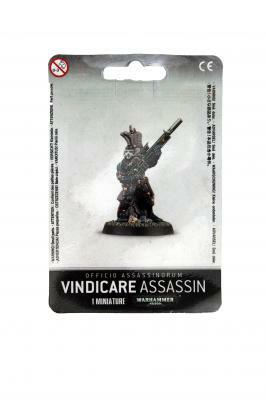 This pack contains one multi-part Vindicare Assassin, and is supplied with one Citadel 32mm Round base.